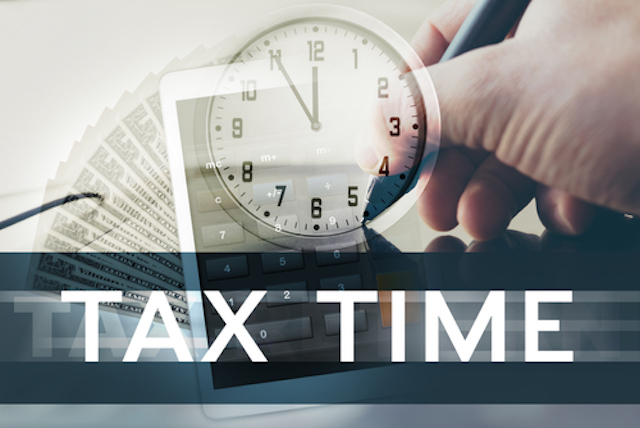 Individual tax returns for 2018 are due April 15, 2019, however, most active traders aren’t ready to file on time. Some brokers issue corrected 1099Bs right up to the deadline, or even beyond. Many partnerships and S-Corps file extensions by March 15, 2019, and don’t issue Schedule K-1s to partners until after April 15. Many securities traders struggle with accounting for wash sale loss adjustments. The good news is traders don’t have to rush completion of their tax returns by April 15. They should take advantage of a simple one-page automatic extension along with payment of taxes owed to the IRS and state. Most active traders file extensions, and it’s helpful to them on many fronts. Request an automatic six-month extension of time to file individual federal and state income tax returns by Oct. 15, 2019. Form 4868 instructions point out how easy it is to get this automatic extension — no reason is required. It’s an extension of time to file a complete tax return, not an extension of time to pay taxes owed. Estimate and report what you think you owe for 2018 based on your tax information received. “Late Payment Penalty: The late payment penalty is usually ½ of 1% of any tax (other than estimated tax) not paid by the regular due date of your return, which is April 15, 2019, for calendar year filers (April 17, 2019, if you live in Maine or Massachusetts). It’s charged for each month or part of a month the tax is unpaid. The maximum penalty is 25%. The late payment penalty won’t be charged if you can show reasonable cause for not paying on time. Attach a statement to your return fully explaining the reason. Don’t attach the statement to Form 4868. You’re considered to have reasonable cause for the period covered by this automatic extension if both of the following requirements have been met. 1. At least 90% of the total tax on your 2018 return is paid on or before the regular due date of your return through withholding, estimated tax payments, or payments made with Form 4868. 2. The remaining balance is paid with your return. Even if you can’t pay what you estimate you owe, make sure to file the automatic extension form on time by April 15, 2019. It should help avoid the late-filing penalty, which is ten times more than the late-payment penalty. If you can’t pay in full, you should file your tax return or extension and pay as much as you can. An example of late-payment and late-filing penalties: Assume your 2018 tax liability estimate is $50,000. Suppose you file an extension by April 15, 2019, but cannot pay any of your tax balance due. You file your actual tax return on the extended due date of Oct. 15, 2019, with full payment. A late-payment penalty applies because you did not pay 90% of your tax liability on April 15, 2019. The late-payment penalty is $1,500 (six months late x 0.5% per month x $50,000). Some traders view a late-payment penalty like a 6% margin loan, and it’s not tax-deductible. By simply filing the extension on time in the above example, you avoided a late-filing penalty of $11,250 (six months late x 5% per month [25% maximum], less late-payment penalty factor of 2.5% = 22.5%; 22.5% x $50,000 = $11,250). Interest is also charged on taxes paid after April 15, 2019. If you don’t expect to owe 2018 taxes by April 15, 2019, it’s easy to prepare an extension with no balance due. Make sure to file it on time to avoid a minimum penalty just in case you were wrong and do owe taxes for 2018. Traders with 2019 year-to-date trading gains and significant tax liability in the past year should consider making quarterly estimated tax payments this year to avoid underestimated tax penalties. The IRS increased AFR interest rates in 2018 and 2019. I recommend the following strategy for traders and business owners: Overpay your 2018 tax extension on April 15, 2019, and plan to apply an overpayment credit toward Q1 2019 estimated taxes. Most traders don’t make estimated tax payments until Q3 and or Q4 when they have more precise trading results. Why pay estimated taxes for Q1 and Q2 if you incur substantial trading losses later in the year? 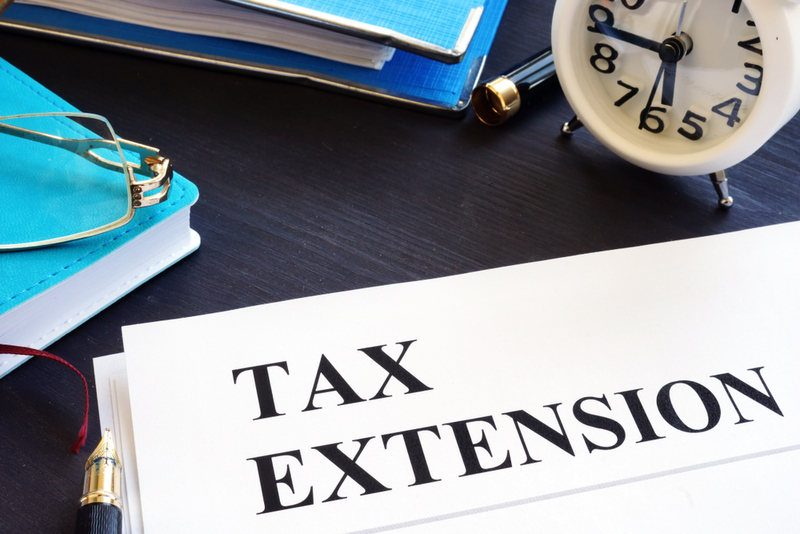 It’s a better idea to pay an extra amount for the extension to set yourself up for three good choices: A cushion on 2018 if you underestimated your taxes, an overpayment credit toward 2019 taxes, or a tax refund for 2018 if no 2019 estimated taxes are due. Traders eligible for trader tax status should consider attaching a 2019 Section 475 election statement to their 2018 tax return or extension. These are due by April 15, 2019, for individuals and corporations and March 15 for partnerships and S-Corps. Section 475 turns capital gains and losses into ordinary gains and losses, thereby avoiding the capital-loss limitation and wash-sale loss adjustments on securities (i.e., tax-loss insurance). The additional time helps build tax positions like qualification for trader tax status in 2018 and 2019. It may open opportunities for new ideas on tax savings. A rushed return does not. The extension also pushes back the deadline for paying money into qualified retirement plans including a Solo 401(k), SEP IRA and defined benefit plan. The deadline for 2018 IRA contributions is April 15, 2019. Your accountant begins your tax compliance (preparation) engagement, and he or she cuts it off when seeing a solid draft to use for extension filing purposes. Your accountant will wait for final tax information to arrive after April 15, 2019. Think of the extension as a half-time break. It’s not procrastination; accountants want tax returns finished. Please don’t overwhelm your tax preparer the last few weeks and days before April 15 with minor details in a rush to file a complete tax return. Accounting firms with high standards of quality have internal deadlines for receiving tax information for completing tax returns. It’s unwise to pressure your accountant, which could lead to mistakes or oversights in a rush to file a complete return at the last minute. That doesn’t serve anyone well. It doesn’t matter if your capital loss is $50,000 or $75,000 at extension time: Either way, you’ll be reporting a capital loss limitation of $3,000 against other income. In this case, don’t get bogged down with trade accounting and reconciliation with Form 1099Bs until after April 15. The capital loss carryover impacts your decision to elect Section 475 MTM for 2019 by April 15, 2019, but an estimate is sufficient. Consider wash-sale loss rules on securities: If you know these adjustments won’t change your $3,000 capital loss limitation, you can proceed with your extension filing. But if you suspect wash-sale loss adjustments could lead to reporting capital gains rather than losses, or if you aren’t sure of your capital gains amount, focus your efforts on trade accounting before April 15. (Consider our trade accounting service.) Try to do accounting work for year-to-date 2019; it also affects your decision-making on the 475 election. Darren Neuschwander CPA and Adam Manning CPA contributed to this blog post. This entry was posted in Tax Compliance and tagged tax compliance on March 12, 2019 by Robert Green. March 15, 2019, is the deadline for filing 2018 S-Corp and partnership tax returns, or extensions, 2019 S-Corp elections for existing entities, and 2019 Section 475 elections for a pass-through entity. Don’t miss any of these tax filings or elections; it could cost you. For S-Corps and partnerships use Form 7004 (Application for Automatic Extension of Time To File Certain Business Income Tax, Information, and Other Returns). 2018 S-Corp and partnership extensions give six additional months to file a federal tax return, by Sep. 16, 2019. Some states require a state extension filing, whereas others accept the federal extension. Some states have S-Corp franchise taxes, excise taxes, or minimum taxes, and payments are usually due with the extensions by March 15. LLCs filing as a partnership may have minimum taxes or annual reports due with the extension by March 15. The new tax law TCJA’s Section 199A “qualified business income” (QBI) tax treatment might apply to TTS partnerships and S-Corps, whether they use Section 475 or not. TTS trading expenses are QBI losses. In my recent blog post, Uncertainty About Using QBI Tax Treatment For Traders, I suggest filing extensions to have additional time for a resolution of this matter. If you need help, consider a consultation or our tax compliance service. This entry was posted in Tax Compliance on March 6, 2019 by Robert Green. If you are a securities trader eligible for trader tax status (TTS), consider making a timely Section 475 election for 2019. Section 475 means you’ll avoid wash sales and the capital loss limitation. You might also become eligible for the 20% qualified business income deduction, although QBI treatment is currently uncertain for TTS traders. Historically, the chief tax benefit of Section 475 was deducting trading losses without limits. Section 475 trades are exempt from onerous wash sale loss adjustments on securities, which can trigger a tax bill on phantom income at year-end. Section 475 ordinary losses are not capital losses, which means the puny $3,000 capital loss limitation doesn’t apply. Example 1: A sole proprietor TTS trader incurred a trading loss of $30,000 in 2018. He elected Section 475 for 2018 by April 17, 2018, and reported it as an ordinary loss on Form 4797 Part II. He also deducted $10,000 of trading business expenses on a Schedule C. He offsets the entire trading business loss of $40,000 against wage income of $100,000 for a gross income of $60,000. That generates a significant tax refund. Without a 475 election, this trader would have a $3,000 capital loss limitation on Schedule D, a $10,000 ordinary loss on Schedule C, and a gross income of $87,000. He would also have a capital loss carryover of $27,000. Example 2: The markets dropped in December 2018, and many traders incurred significant capital losses. 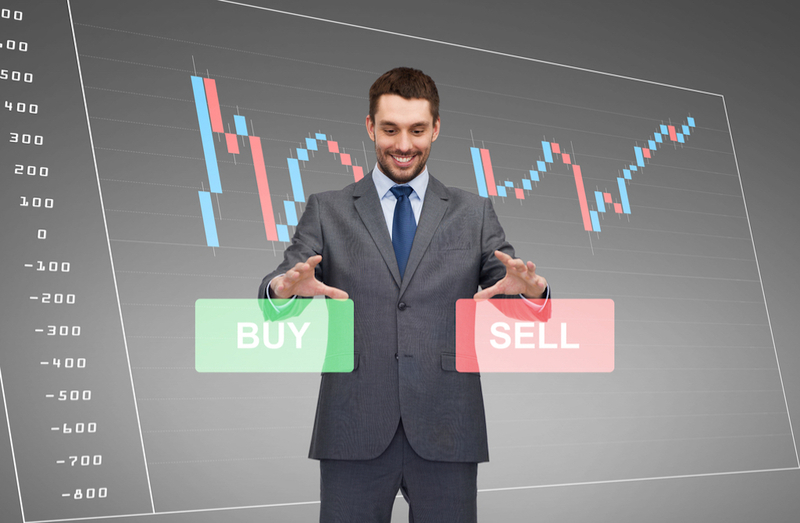 Markets rallied back in January 2019, and many of traders repurchased positions they sold for losses in December. They didn’t wait 31 days, so they triggered wash sale loss adjustments at year-end 2018. It caused many to owe significant capital gains taxes on phantom income. The deferred WS cost basis might cause some traders to have substantial capital losses in 2019, well above the capital loss limitation. A double whammy. A 475 election for 2019 can convert 2019 capital losses into ordinary losses. It doesn’t fix 2018 but helps a lot in 2019. By default, securities and Section 1256 investors are stuck with capital-loss treatment, meaning they’re limited to a $3,000 net capital loss against ordinary income. The problem is that their trading losses may be much higher and not useful as a tax deduction in the current tax year. Capital losses first offset capital gains in full without restriction. After the $3,000 loss limitation against other income is applied, the rest is carried over to the following tax years. Many traders wind up with little money to trade and unused capital losses. It can take many years to use up their capital loss carryovers. What an unfortunate waste! Why not get tax savings from using Section 475 MTM right away? Business traders qualifying for TTS have the option to elect Section 475 MTM accounting with ordinary gain or loss treatment in a timely fashion. When traders have negative taxable income generated from business losses, Section 475 accounting classifies them as net operating losses (NOLs). Caution: Individual business traders who miss the Section 475 MTM election date (April 15, 2019, for 2019) can’t claim business ordinary-loss treatment for 2019 and will be stuck with capital-loss carryovers. A new entity set up after April 15 can deliver Section 475 MTM for the rest of 2019 on trading losses generated in the entity account if it files an internal Section 475 MTM election within 75 days of inception. This election does not change the character of capital loss treatment on the individual accounts before or after its creation. The entity is meant to be a fix for going forward; it’s not a means to clean up the past problems of capital loss treatment. Ordinary trading losses can offset all types of income (wages, portfolio income, and capital gains) on a joint or single filing, whereas capital losses only offset capital gains. Plus, business expenses and business ordinary trading losses comprise an NOL, which is carried forward. It doesn’t matter if you are a trader or not in a carryforward year. Business ordinary trading loss treatment is the most significant contributor to federal and state tax refunds for traders. Starting in 2018, TCJA repealed the two-year NOL carryback, except for certain farming losses and casualty and disaster insurance companies. This means NOLs are carried forward indefinitely, and the deduction of 2018 and subsequent-year NOLs are limited to 80% of taxable income. TCJA also introduced a new excess business loss (EBL) limitation of $500,000 married and $250,000 for other taxpayers. Add EBL to an NOL carryforward. Section 475 ordinary losses reduce net investment income for calculating the 3.8% Obamacare net investment tax. There are many nuances and misconceptions about Section 475 MTM, and it’s essential to learn the rules. For example, taxpayers are entitled to contemporaneously segregate investment positions that aren’t subject to Section 475 MTM treatment, meaning at year-end, they can defer unrealized gains on properly segregated investments. 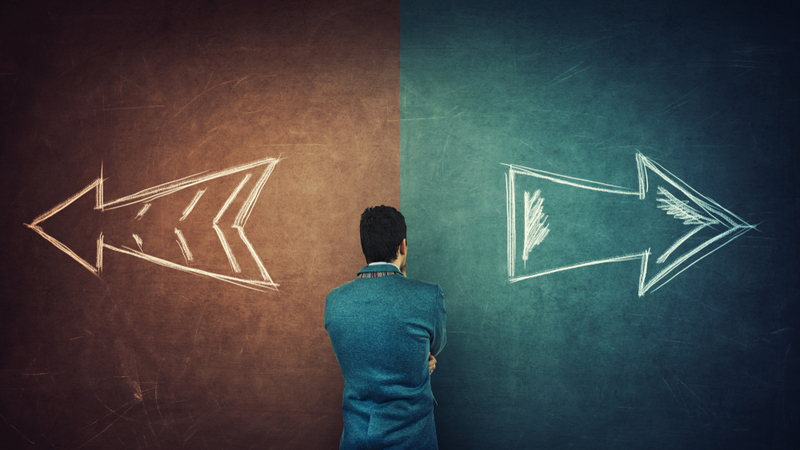 Taxpayers can have the best of both worlds — ordinary tax losses on business trading and deferral with lower long-term capital gains tax rates on segregated investment positions. We generally recommend electing Section 475 on securities only to retain lower 60/40 capital gains rates on Section 1256 contracts. Far too many accountants and traders confuse TTS and Section 475; they are two different things, yet very connected. The Section 475 election procedure is different for new taxpayers like a new entity. Within 75 days of inception, a new taxpayer may file the Section 475 election statement internally in its records. The new entity does not have to submit a Form 3115 because it’s adopting Section 475 from inception, rather than changing its accounting method. For more in-depth information on Section 475, see Green’s 2019 Trader Tax Guide Chapter 2. This entry was posted in Section 475 MTM on February 21, 2019 by Robert Green. 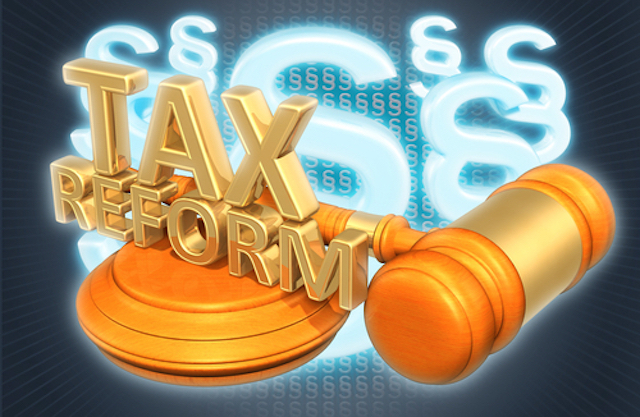 While the 2017 Tax Cuts and Jobs Act did not change trader tax status, Section 475 MTM, wash-sale loss rules on securities, and more, there is still plenty to consider. To Get The Most Out Of Tax Reform, Traders Need To Act Fast covered critical moves to make before the calendar year expires. But that’s just the tip of the hat. Read on for more action items to initiate sooner, rather than later. Wash sales: Securities traders must comply with wash-sale loss rules, but the IRS makes it difficult by applying different standards for taxpayers vs. brokers on tax reports and Form 1099-Bs. Taxpayers must report wash sales on substantially identical positions across all accounts, whereas brokers report only identical positions per account. Active securities traders should use a trade accounting program or service to identify potential wash sale loss problems going into year-end. In taxable accounts, break the chain by selling the position before year-end and not repurchasing a substantially identical position 30 days before or after in any of your taxable or IRA accounts. Avoid wash sales between taxable and IRA accounts throughout the year, as that is otherwise a permanent wash sale loss. (Starting a new entity effective Jan. 1, 2019, can break the chain on individual account wash sales at year-end 2018 provided you don’t purposely avoid wash sales with the related party entity.) Read strategies to avoid wash sale losses. Wash sales only apply to securities; not Section 1256 contracts, cryptocurrencies as intangible property, and volatility ETNs structured as prepaid forward contracts. Section 475 MTM: TTS traders choose Section 475 on securities for exemption from wash-sale rules and the $3,000 capital loss limitation — and to receive the new 20% QBI deduction. Existing individual taxpayers had to elect Section 475 by April 17, 2018, for 2018 (March 15 for existing S-Corps and partnerships). They need to complete the election process by filing a 2018 Form 3115 with their 2018 tax return. If you missed the 2018 election deadline, then consider the election for 2019. Capital loss carryovers are a concern. Net operating losses: Section 475 ordinary losses and TTS business expenses contribute to net operating loss (NOL) carryforwards, which are limited to 80% of taxable income in the subsequent year(s). TCJA repealed two-year NOL carrybacks, except for farmers. For some traders, this is the worst change in TCJA as traders have counted on quick NOL carryback refunds to replenish their trading accounts and remain in business. Get immediate use of NOLs with a Roth IRA conversion before year-end and other income acceleration strategies. Excess business losses: TCJA introduced an “excess business loss” (EBL) limitation of $500,000/$250,000 (married/other taxpayers), per tax year. Aggregate EBL from all pass-through businesses: A profitable company can offset another business with losses to remain under the limit. EBL is an NOL carryforward. For example, if a single TTS/475 trader has an ordinary loss of $300,000, his EBL is $50,000, and it’s an NOL carryforward. TTS traders organized as a sole proprietorship (an unincorporated business), cannot have health insurance and retirement plan deductions because they don’t have self-employment income (SEI) from trading income. A TTS Schedule C does not have a net income, and the IRS does not permit a TTS sole proprietor to pay officer compensation (wages) to themselves as owners. A TTS partnership faces obstacles in attempting to arrange health insurance and retirement plan deductions because the partnership passes through expenses for reducing SEI, whereas, an S-Corp does not pass through expenses or losses for SEI — that’s why the S-Corp works for traders. An S-Corp formed later in the year can unlock a retirement plan deduction for an entire year by paying sufficient officer compensation in December when results for the year are evident. The S-Corp may only deduct health insurance for the months the entity was operational and qualified for TTS. 2019 S-Corp: If you missed out on employee benefits in 2018, then consider an LLC/S-Corp for 2019. Starting 2019 with trading in the new S-Corp is beneficial. That breaks the chain on wash sales with your individual account at year-end 2018. If you start later, you will have tax compliance for your individual return and S-Corp return in dealing with broker 1099Bs and more. Solo 401(k): A Solo 401(k) retirement plan for a TTS S-Corp must be established (opened) with a financial intermediary before year-end. Plan to pay (or fund) the 2018 elective deferral amount up to a maximum $18,500 (or $24,500 if age 50 or older) executed with December payroll by Jan. 31, 2019. Plan to pay (fund) the 25% profit-sharing plan (PSP) portion of the S-Corp Solo 401(k) up to a maximum of $36,500, by the due date of the 2018 S-Corp tax return, including extensions, which means Sept. 15, 2019. The maximum PSP contribution requires wages of $146,000 ($36,500 divided by 25% defined contribution rate.) A SEP IRA is less attractive; it doesn’t have a 100%-deductible elective deferral, which means a similar contribution requires more compensation that is subject to Medicare taxes. With the 2018 crash in cryptocurrency prices, now before year-end 2018 is an excellent time to sell losing crypto positions to realize capital losses which offset capital gains on securities (“tax loss selling”). The wash sale loss rules on securities don’t apply on crypto because it is intangible property, not a security. You can repurchase the crypto positions within hours after booking the tax loss. If you own an investment portfolio, you have the opportunity to reduce capital gains taxes via “tax loss selling.” You may wish to sell winning positions to accelerate income, perhaps to use up a capital loss carryover or an NOL. TTS traders want a “clean slate” — meaning no capital loss carryovers — so they can make a Section 475 election in the subsequent tax year. If you are in the lowest two “ordinary” tax brackets for 2018 (10% or 12%), try to take advantage of the 0% long-term capital gains rate. The 12% ordinary income bracket applies on taxable income up to $37,800/$77,400 (single/married). For example, if your single taxable income is $30,000, you can realize $7,500 of long-term capital gains with zero federal tax. If you realized significant short-term capital gains year-to-date in 2018 and had open positions with substantial unrealized capital losses, you should consider selling (realizing) some of those losses to reduce 2018 capital gains taxes. Don’t repurchase the losing position 30 days before or after, as that would negate the tax loss with wash-sale-loss rules. Tax-loss selling is inefficient for short-term positions that reduce long-term capital gains. It’s also a moot point with Section 1256 and Section 475 positions since they are mark-to-market (MTM) positions reporting realized and unrealized gains and losses. Taxpayers should review tax brackets, Social Security and retirement contribution limits, standard deductions, and more. See Tax Rates, other tax charts, and analysis of TCJA at Tax Foundation. There are differences in filing status. We recommend discussing year-end planning with your tax adviser by early December. Don’t wait until the last minute! If our firm prepared your 2017 tax return, your Client Copy includes a “Tax Reform Impact Summary,” which shows the impact of TCJA on your 2017 file. Our CPAs and I hope to hear from you soon. Webinar: Traders Have Unique Issues For Year-End Planning. Come to the Dec. 5, 2018 event or watch the recording after. This entry was posted in Tax Changes & Planning on October 31, 2018 by Robert Green. Actions are required before year-end to cash in on some of the tax benefits of the 2017 Tax Cuts and Jobs Act (TCJA). Consider the time-honored strategy of deferring income and accelerating tax deductions if you don’t expect your taxable income to decline in 2019. Tax rates are the same for 2019, although the IRS adjusts tax brackets for inflation each year. Enjoy the time-value of money with income deferral. 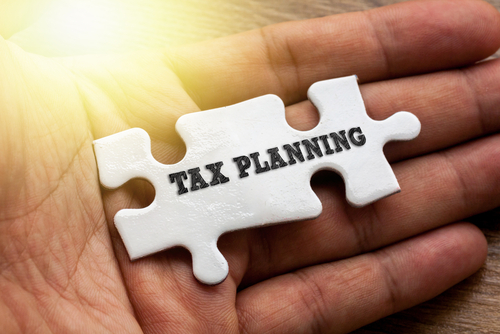 Year-end tax planning is a challenge for traders because they have wide fluctuations in trading results, making it difficult to forecast their income. Those expecting to be in a lower tax bracket in 2019 should consider income deferral strategies. Conversely, a 2018 TTS trader with ordinary losses, hoping to be in a higher tax bracket in 2019 should consider income acceleration strategies. If you have trader tax status in 2018, consider accelerating trading business expenses, such as purchasing business equipment with full expensing. Don’t assume that accelerating itemized deductions is also a smart move; there may be two problems. TCJA suspended and curtailed various itemized deductions, so there is no sense in expediting a non-deductible item. Even with the acceleration of deductible expenses, many taxpayers will be better off using the standard deduction of $24,000 married, $12,000 single, and $18,000 other taxpayers — these are roughly doubled by TCJA. There is an additional standard deduction of $1,300 for the aged or the blind. If itemized deductions are below the standard deduction, consider a strategy to “bunch” itemized deductions into one year and take the standard deduction in other years. A TTS trader with substantial losses that are not subject to the capital loss limitation should consider accelerating income to soak up the business loss, instead of having an NOL carryover. TCJA repealed the two-year NOL carryback rule starting in 2018. Try to advance enough income to fully utilize the standard deduction and take advantage of lower tax brackets. Be sure to stay below the thresholds for unlocking various types of AGI-dependent deductions and credits. Roth IRA conversion: Convert a traditional IRA into a Roth IRA before year-end to accelerate income. The conversion income is taxable in 2018, but you avoid the 10% excise tax on early withdrawals. One concern is that TCJA repealed the recharacterization (reversal) option. There isn’t an income limit for making Roth IRA conversions, whereas, there is for making contributions. Sell winning positions: Another way traders can accelerate income is to sell open winning positions to realize short-term capital gains. Consider selling long-term capital gain positions, too. In the bottom two ordinary tax rates of 10% and 12%, the long-term capital gains tax rate is zero. Business expenses: TTS traders are entitled to deduct business expenses and home-office deductions from gross income. The home office deduction requires income, except for the mortgage interest and real estate portion. The SALT cap on state and local taxes does not apply to the home office deduction. TCJA expanded full expensing of business property; traders can deduct 100% of these costs in the year of acquisition, providing they place the item into service before year-end. If you have TTS in 2018, considering going on a shopping spree before Jan. 1. No sense deferring TTS expenses, because you cannot be sure you will qualify for TTS in 2019. Retirement plans: If you engage outside investment advisors for managing your retirement accounts, try to pay the advisors from traditional retirement plans, but not Roth IRAs. An expense in a traditional tax-deferred retirement plan is equivalent to a tax-deferred deduction. (Roth IRAs are permanently tax-free, so you don’t need deferred deductions in Roth plans.) 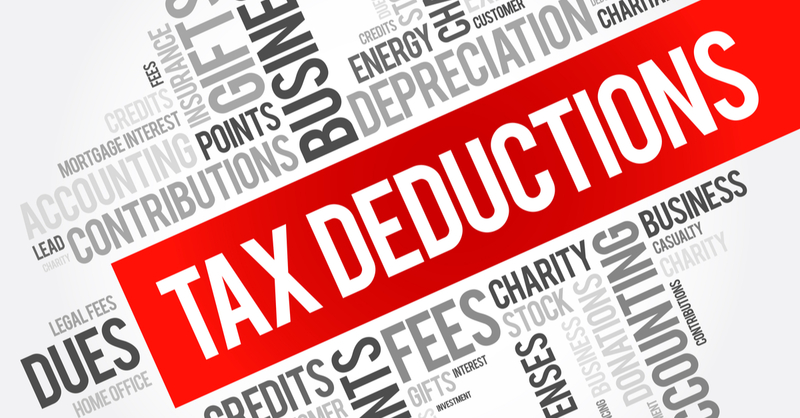 A postponed deduction is better than a suspended itemized deduction, which is not deductible. Some brokerage firms might not cooperate unless you engage the firm’s wealth management service. Consider a retirement plan custodian or intermediary who is more accommodating on these expense payments. Don’t allow your retirement plan to pay investment fees to you, or close family members: It’s self-dealing, a prohibited transaction, which might blow up your retirement plan. If you don’t have TTS, consider trading in your retirement plan, instead of taxable accounts. Employee business expenses: Ask your employer if they have an “accountable plan” for reimbursing employee-business expenses. You must “use it or lose it” before year-end. TTS traders allocate a portion of tax compliance fees to TTS business expense. Investment interest expense: TCJA did not change investment-interest expense rules: This itemized deduction is limited to investment income, and the excess is carried over to the subsequent tax year(s). TTS traders deduct margin interest expenses on trading positions as a business expense. TCJA curtailed business interest expenses for larger companies only. SALT: TCJA’s most contentious provision was capping state and local income, sales and property taxes (SALT) at $10,000 per year ($5,000 for married filing separately). Many high-tax states continue to contest the SALT cap, but they haven’t prevailed in court. The IRS reinforced the new law by blocking various states’ attempts to recast SALT payments as charitable contributions, or payroll tax as a business expense. AMT: In prior years, taxpayers had to figure out how much they could prepay their state without triggering alternative minimum tax (AMT) since state taxes are not deductible for AMT taxable income. It’s easier for 2018 with SALT capped at $10,000 and because TCJA raised the AMT exemption. If you are subject to AMT for 2018, then don’t accelerate AMT preference items. Standard deduction: TCJA roughly doubled the standard deduction and suspended and curtailed several itemized deductions. Many more taxpayers will use the standard deduction for 2018, which might simplify their tax compliance work. For convenience sake, some taxpayers may feel inclined to stop tracking itemized deductions because they figure they will use the standard deduction. Don’t overlook the impact of these deductions on state tax return where you might get some tax relief for itemizing deductions. Plus, certain repeals and curtailed itemized deductions might be deductible on other parts of your tax return. This deduction might be one of the most crucial TCJA changes to consider for 2018, and you should take action before year-end. The IRS recently issued proposed reliance regulations (Proposed §1.199A) for the TCJA’s 20% deduction on qualified business income (QBI) in pass-through entities. The proposed regulations confirm that traders eligible for TTS are a “specified service activity,” which means if their taxable income is above an income cap, they won’t get a QBI deduction. The taxable income (TI) cap is $415,000/$207,500 (married/other taxpayers). The phase-out range below the cap is $100,000/$50,000 (married/other taxpayers), in which the QBI deduction phases out for specified service activities. The W-2 wage and property basis limitations also apply within the phase-out range. Hedge funds eligible for TTS and investment managers are specified service activities. TCJA favors non-service businesses, which are not subject to an income cap. The W-2 wage and property basis limitations apply above the TI threshold of $315,000/$157,500 (married/other taxpayers). The IRS will adjust TI income cap, phase-out range, and the threshold for inflation in each subsequent year. Calculate QBI on an aggregate basis. 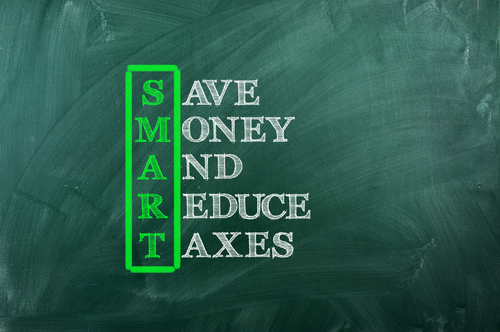 You might be able to increase the QBI deduction with smart year-end planning. If your taxable income falls within the phase-out range for a specified service activity, you might need wages, including officer compensation, to avoid a 50% wage limitation on the QBI deduction. Try to defer income to get under the TI threshold and use up less of the phase-out range. Consult your tax advisor well before year-end. The QBI deduction is complicated, and questions are pending with the IRS. Accountants are going to be very busy in December, so get on their schedule early. Each year, married couples choose between “married filing joint” (MFJ) vs. “married filing separate” (MFS). TCJA fixed several inequities in filing status, including the tax brackets by making single, MFJ, and MFS brackets equivalent, except for divergence at the top rate of 37%. See the ordinary tax brackets: MFJ/MFS enter the top 37% rate at $600,000/$300,000 vs. $500,000 for single. TCJA retains the marriage penalty at the top rate only. Married couples may be able to improve QBI deductions, AGI and other income-threshold dependent deductions, and credits with MFS in 2018. It’s wise to enter each spouse’s income, gain, loss and expense separately and have the tax software compare MFJ vs. MFS. In a community property state, there are special rules for allocating income between spouses. • Becoming familiar with all of the changes in TCJA is crucial. TaxFoundation.Org is an excellent resource. • Note inflation adjustment increases to rate brackets and more. • Consider estimated tax payment rules including the safe-harbor exceptions. If you accelerate income, you may need to pay Q4 2018 estimated taxes by Jan. 15, 2019. • Alternatively, increase tax withholding on wages to avoid estimated tax underpayment penalties. • If you still need to avoid estimated tax underpayment penalties, arrange a rollover distribution from a qualified retirement plan with significant tax withholding before year-end. Next, roll over the gross amount into a rollover IRA. The result is zero income and avoidance of an estimated tax penalty. • Sell off passive-loss activities to unlock and utilize suspended passive-activity losses. • Maximize contributions to retirement plans. That lowers AGI, which can unlock more of a QBI deduction, reduce net investment tax, and unlock AGI dependent benefits. • The IRS has many obstacles to deferring income including passive-activity loss rules, a requirement that certain taxpayers use the accrual method of accounting and limitations on charitable contributions. TCJA allows more businesses to use the cash method. • Retirees must take required minimum distributions by age 70½. Per TCJA, consider directing your retirement plan to make “qualified charitable distributions” (QCD). That satisfies the RMD rule with the equivalent of an offsetting charitable deduction, allowing you to take the standard deduction rather than itemize. • TCJA improves family tax planning: Consider “kiddie tax” rules with increased gift exclusions. Section 529 qualified tuition plans now can be used to pay for tuition at an elementary or secondary public, private or religious school, up to $10,000 per year; the annual gift exclusion is $15,000; the unified credit for estate tax is significantly higher at $11.18 million per person, and “step-up in basis” rules still avoid capital gains taxes on inherited appreciated property. TTS traders should also consider hiring adult children as employees. • Make sure to fund FSAs and HSAs before year-end fully. See my next blog post for more info: To Save Taxes, Traders Need To Deal With Unique Issues Before Year-End. Webinar: How Traders Can Save Taxes Before Year-End. Come to the Nov. 7, 2018 event or watch the recording after. This entry was posted in Tax Changes & Planning and tagged tax planning on October 30, 2018 by Robert Green. – Disaster victims in Florida, Georgia, Virginia, North Carolina, and South Carolina qualify for tax relief from Hurrican Michael. “IRS has announced on its website that victims of Hurricane Michael in counties of Georgia and victims of Hurricane Florence in Virginia that are designated as federal disaster areas qualifying for individual assistance, as well as additional victims of Hurricane Florence in counties of South Carolina and North Carolina and additional victims of Hurricane Michael in counties of Florida, that have been similarly designated, have more time to make tax payments and file returns. Certain other time-sensitive acts also are postponed. This article summarizes the relief that’s available and includes up-to-date disaster area designations and extended filing and deposit dates for all areas affected by storms, floods and other disasters in 2018.” (Thomson Reuters/Tax & Accounting). See additional information on Hurricane Michael disaster tax relief here. – IRS extends Oct. 15 and other upcoming deadlines provides expanded tax relief for victims of Hurricane Michael. Click here. This relief applies to 2017 partnership and S-Corp tax returns, and 2018 third-quarter estimated taxes due September 17, 2018. – Retirement plans can make loans, hardship distributions to wildfire, Hurricane Maria victims. The Act exempts qualified disaster-related personal casualty losses from the 10% AGI threshold. Victims don’t have to itemize; they can add this casualty loss to their standard deduction, and that part is deductible for AMT. The Act increases the $100 per-casualty floor to $500. Congress doesn’t want to disenfranchise victims from taking these important tax deductions. The Act allows victims to make “qualified hurricane distributions” from their retirement plans of up to $100,000, with exemption from the 10% early withdrawal penalty. Taxpayers can spread this income over a 3-year period. To help spur more donations to victims, the Act suspends the majority of charitable deduction limitations. WASHINGTON – The Internal Revenue Service today offered a rundown of key tax relief that has been made available to victims of Hurricanes Harvey, Irma and Maria. This entry was posted in IRS Relief on October 12, 2018 by Robert Green.